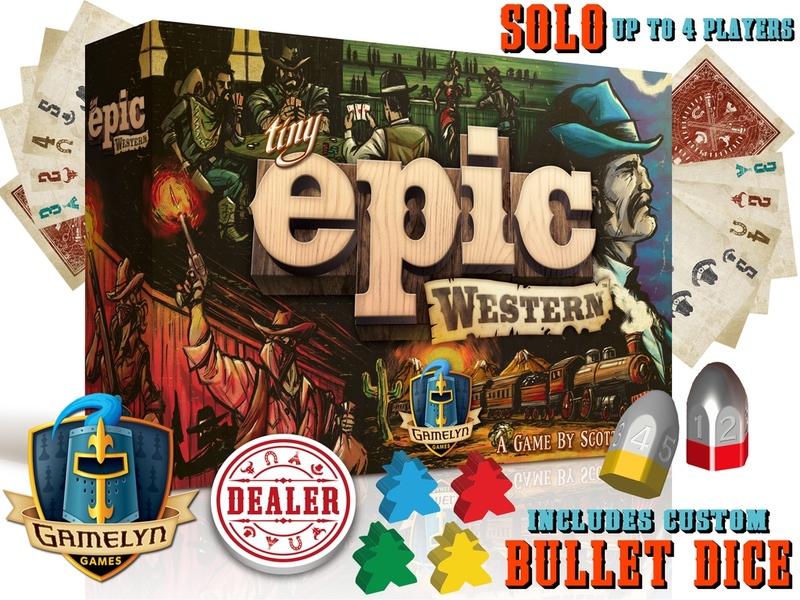 In the game, players take on the role of one of various Western trope characters as you look to lead your posse to be the ones with the most control. You do this by sending group members to take over various locations, with fights over those locations being resolved using quick games of 3-card poker. As you gain influence and resources, you can purchase buildings to increase your influence even more. Of course, there are shootouts as well (using custom dice). But be careful, as you may become a wanted criminal. The Kickstarter campaign is doing fairly well, having made their goal and then some... by about 21x or so... and there's still 10 days left on the clock.